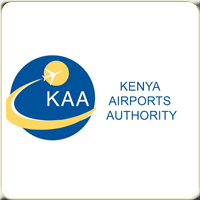 IAP Joseph Okumu works for the Kenya Airports Authority as Airport Manager of Kisumu International Airport. He has had a distinguished 24 years career in the aviation industry serving in the fields of airport management, aviation security, airport operations and safety as well as being an instructor at the East African School of Aviation. He holds a Master of Business Administration (MBA) in Aviation from Moi University and a Bachelor’s degree from the University of Nairobi. In addition he is an ACI /ICAO designated International Airport Professional (IAP), and is a member of the Board of Directors of the International Airport Professional Community of Practice (IAPCoP), the premier global network for IAPs.Previously he has held the positions of Manager Operations at the Jomo Kenyatta International Airport in Nairobi and Head of Aviation Security at Eldoret International Airport and Wilson Airport. His major achievement includes the oversight of the development of Kisumu from a domestic airport to an international airport.